The United States just surpassed an important milestone, and you might not have noticed. The country’s electric grid can now store over a billion watts for one hour (1 GWh) with batteries for later use. By the end of 2018, analysts predict that capacity to double. Some even predict 50 times that within the next ten years. Why would the growth of battery storage matter to you, or to any Minnesotan? Could the sharp growth of this industry support economic prosperity and job growth? Widespread deployment of battery storage to the grid, with appropriate market rules, will create cleaner and cheaper electricity. First, storage should trim the highest peaks and lowest valleys of wholesale electricity prices, which will make the market more efficient and less expensive. Your electricity will become cheaper. 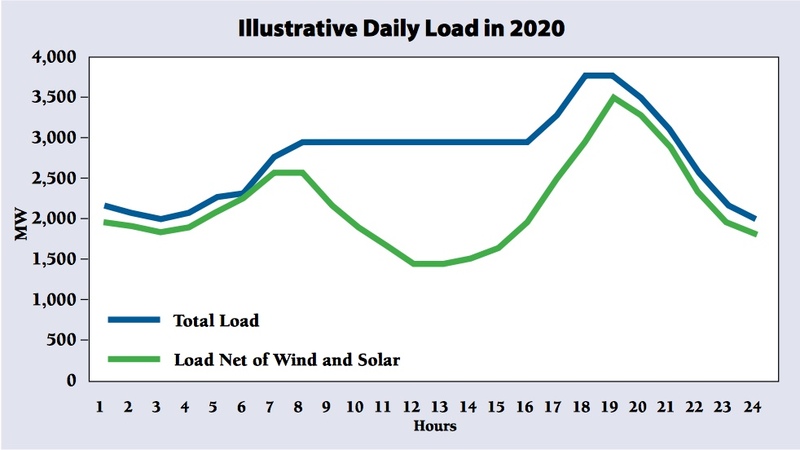 Second, grid-level storage will increase capacity to begin to solve the intermittency problems of renewables: store solar- and wind-generated electricity when the sun shines and the wind blows; then release it during overcast and still hours. That is, your electricity will become cleaner. The storage industry already supports about 2,800 jobs in Minnesota. Improvements in battery technology and price, coupled with forward-thinking state policies, have driven explosive growth elsewhere in the country. These factors have driven policy level changes at the federal level, which should in turn spark changes in states, like Minnesota, that have no or little storage policy. While utilities and some grid operators have used storage to manage power quality and occasional power peaks, none have harmonized a set of rules to manage large amounts of energy storage as an input to the grid. The grid has long balanced generation and load, and mostly does a good job of it. In the rare cases when it doesn’t, brownouts and even blackouts occur. Batteries, though, function as both generation and load. That obvious aspect of storage hasn’t been reflected in energy market rules. Until now. The Federal Energy Regulatory Commission (FERC), which is the administrative rulemaking agency that regulates regional grid operators, recently issued a rule that requires each regional grid operator—like MISO here in Minnesota—to come up with a set of rules to manage storage at the grid level. Once this rule has been implemented, batteries will be able to enter the wholesale market as large sources of both generation and load. Batteries will be able to charge up when the locational marginal price is very cheap—i.e., when supply exceeds demand—and discharge when power is more expensive. What about here in the Gopher State? Federal policy has begun to catch up to modern storage technology, but the feds can only regulate so much. The FERC only has jurisdiction over interstate power markets. Utilities, where the power load actually lives, must manage the electricity distribution system efficiently and cost-effectively. State policy more directly affects how utilities operate, and how—and how much—they utilize battery storage. Storage mandates and targets have followed the growth of renewables in several states, and for good reason. While the technology is completely agnostic as to what generation source charges grid-level batteries, storage smooths out the rough edges that high levels of renewables create. Minnesota has begun to reach moderate levels of renewable generation, but state policy on storage has not yet followed. For example, last year California updated its already aggressive storage mandate for its three investor-owned utilities, which need 1.3 GW of storage by 2020, to add 500 MW (.5 GW) of behind-the-meter storage. California, perhaps because of the high amount of intermittent renewables there, already benefits from the way storage can flatten widely fluctuating power supply and demand. And just this year New York set an even more ambitious target of 1.5 GW of storage by 2025. Minnesota is not that far behind on renewables, which now generate a quarter of the electricity in the state. Since 2013 the state has added 1.6 GW of renewables capacity, 609 MW in solar, 945 MW in wind. Jobs have followed this energy transition. Minnesota solar industry jobs grew 48% in 2017, more than any state other than Delaware; the state now ranks 16th nationally in total and per capita solar jobs. According to a U.S. Department of Energy report, the solar industry employs more people than any other source of electrical generation, with 3,800 jobs at the end of 2017. Wind provides the second most jobs, with 1,966. By comparison fossil fuel generation from coal and natural gas combine for 2,142 jobs. Construction provides the plurality of jobs within all of these sectors, at 43%. Because of the rapid growth in new-build wind and solar in the state, we can extrapolate that most of those construction jobs built wind and solar installations. While the state has had a renewable energy standard in place since 2007, there is as of yet no similar storage mandate. Some utilities in the state have jumped the gun: Great River Energy recently solicited proposals for a 10 MW solar-storage combo system to serve its customers in Dakota County. Connexus Energy, which is part of Great River Energy, plans an even larger system on the north side of the Metro. Xcel Energy has been practicing with a wind-plus-storage system in Luverne since 2009. With federal rules soon in place, and the technology ready, state policy could nudge this industry toward the explosive growth seen elsewhere. Storage can benefit electricity consumers with cheaper and cleaner electricity, which frees money from electric bills, health care costs, and the ravages of climate change. It can also stimulate the economy through the job creation. About 2,800 Minnesotans already work in the nascent sector. Nationwide, storage jobs grew 235% from 2016 to 2017, and the market is projected to grow nine times over by 2022. If job growth tracks market growth, and if Minnesota matches national trends, then storage could provide 25,000 new jobs in the state. Minnesota would be foolish to ignore this opportunity.